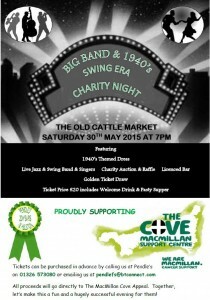 The Old Cattle Market › Get your swing on! 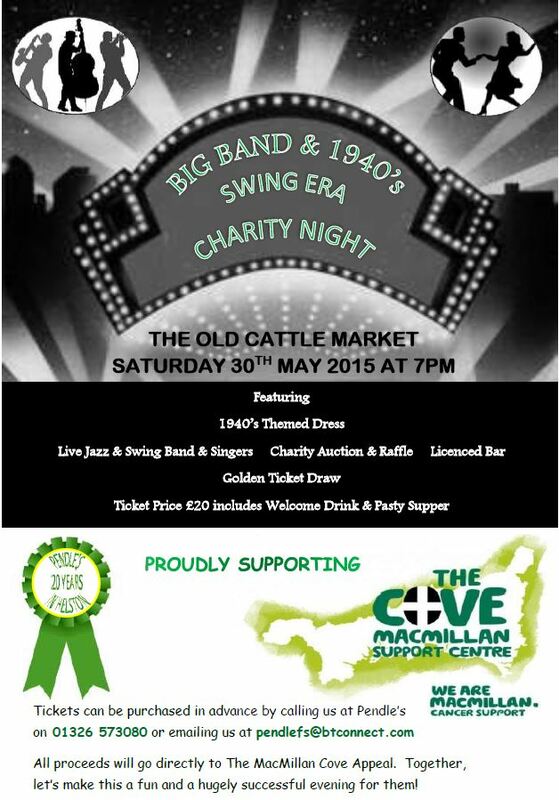 The clever people of Pendles are holding a charity event supporting The Cove Macmillan Support Centre. However, this isn’t your run of the mill charity event, oh no, this is a all singing, all dancing themed event! You’ll be transported back to the 1940s swing era where big bands were the order of the night, so come along, dress to impress and be transported back in time. Pssst! I can’t tell you too many secrets but the team putting this event together are amazing! From the decoration to the entertainment I guarantee a night to remember! Ticket details are on the attached poster.